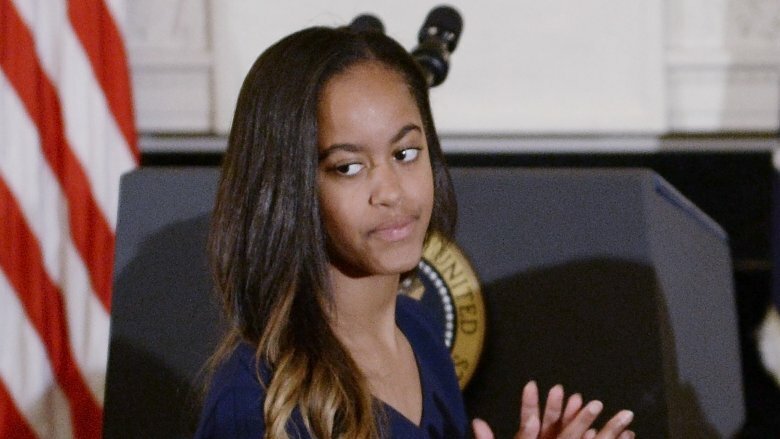 Malia Obama began attending Harvard University in the fall of 2017. According to W Magazine, Obama had the gap year many college students could only dream of. She partied in Amsterdam, attended Lollapalooza in Chicago, and began her internship in New York City at Weinstein Company — thankfully now no longer run by Harvey Weinstein himself. Obama has also been spotted at clubs and hitting the streets of New York City with her bodyguards in tow. Though with her confidence and height of over six feet tall, Obama could probably handle her own! As a student at Harvard University, where she enrolled in the fall of 2017 after that epic gap year, Obama has been getting to know her classmates — and the city of Cambridge — a bit better. After a couple months of getting used to Harvard life, pictures of Obama with a mystery man began to surface, which begs the question — just who is this guy? The Harvard-Yale football rivalry has been ongoing since the first game (then a rugby match) in 1875, when Harvard beat Yale 4-0. It is still widely celebrated each year on the date of the annual football game, by students and alumni from both schools the world over. So of course Obama got in on the Harvard-Yale action, and she wasn’t alone. Shortly before Thanksgiving in 2017, TMZ released a video of Obama briefly locking lips with someone while tailgating her very first Harvard-Yale football game. That’s one way to kick off a game. At that point in time, the press didn’t know who this young man was. However, it didn’t take long to figure it out. He’s now known to be Obama’s rumored boyfriend, Rory Farquharson. Dating the former president’s daughter doesn’t exactly create the best opportunity for anonymity but the couple seems to still be going strong regardless. Here’s everything you should know about Farquharson. Now that her reported beau has been revealed, Obama no longer has to hit the streets of New York City with just her bodyguards in tow. 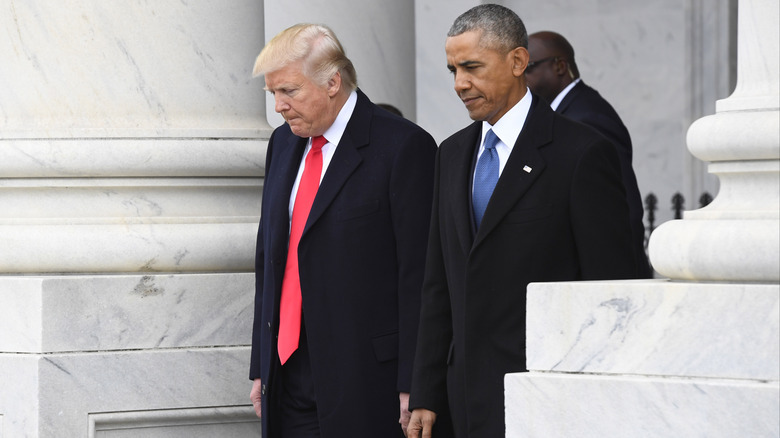 Just a few months after the Harvard-Yale game, Obama and Farquharson were photographed smiling at one another while walking and talking in SoHo, New York City in January 2018. The two looked happy in the photos — yay! — but there was something disconcerting about what was revealed in them nonetheless. In virtually every picture from their outing, Farquharson can be seen with a cigarette in hand. Perhaps this isn’t necessarily too surprising as an estimated one-third of college students smoke, according to ABC News. Either way, it’s not exactly a healthy habit. It may also go without saying that the effects secondhand smoke are quite awful too! But hey, at least the lovebirds are also carrying around bottled water to stay hydrated, right? Is Farquharson a bad influence on Obama? Unfortunately, Obama also seems to have developed the addictive smoking habit. Is Farquharson a bad influence on Obama? Maybe, maybe not. There’s really no telling who started smoking first, but pictures have confirmed that Obama was the first one seen with a cigarette. Whether she picked up the habit from her dad or developed a “social smoking” habit, it’s hard to say. Either way, let’s hope both the former first daughter and her alleged boyfriend quit soon! 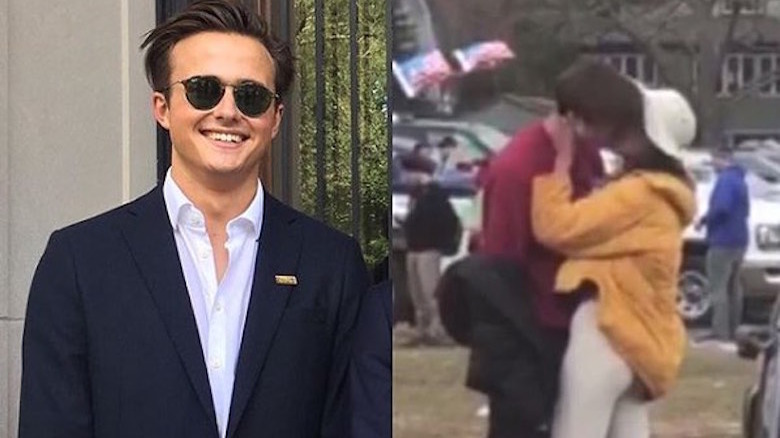 Whether or not you think of Farquharson as a bad influence on the former president’s daughter, there’s no denying that he attends a good school. Like Obama, Farquharson is a student at Harvard University, one of only eight Ivy League schools. According to The Telegraph, this is likely where the lovebirds first met. 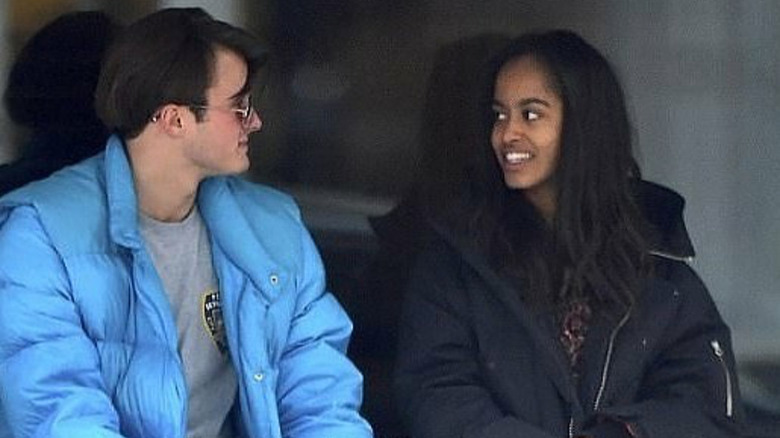 Though Obama is a freshman in the 2017-2018 school year after taking her gap year, Farquharson — who is the same age as Obama — is a registered sophomore in the 2017-2018 academic year. While it is not known what Obama is studying, it seems her interests center around the arts. Farquharson, on the other hand, may be following in his father Charles’ footsteps. Charles Farquharson obtained a law degree from Cambridge University and is now a chief executive at an investment firm in London. The Telegraph further reported that Farquharson followed quite a few banking-related accounts on Twitter so, if nothing else, the interest is there. 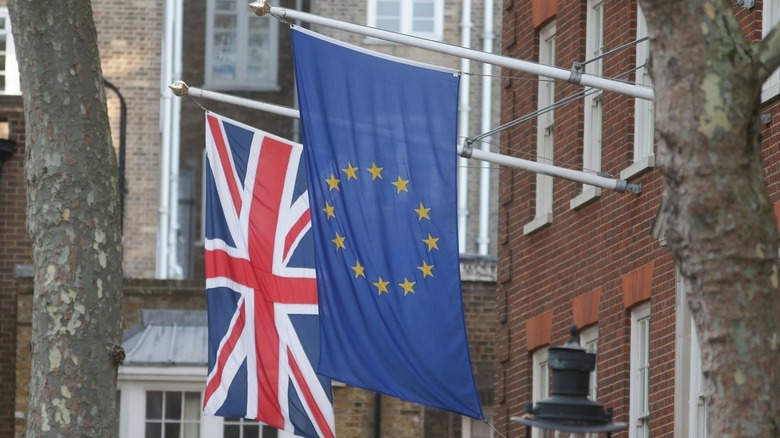 If you swoon over Brits, you aren’t alone; it’s no secret that most Americans love English accents. Obama may be part of that majority as her rumored love interest just so happens to be British. 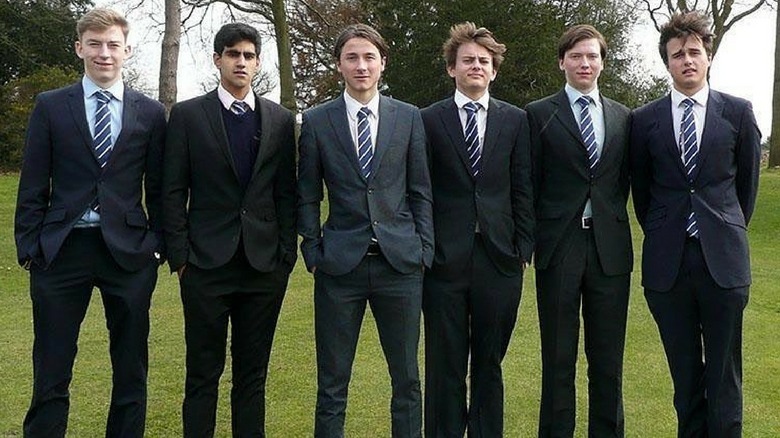 The Telegraph reported that Farquharson grew up across the pond and attended a private boarding school where he was a member of the chemistry club. He was also deemed “Head of School” during the 2015-2016 school year. Not only was Farquharson a bit of a brain, he was also a jock as he played both rugby and golf. So that’s what the Harvard application takes. Much like Obama, Farquharson also interned before attending Harvard University. As opposed to New York, he spent time in Northern Ireland at the Centre for Democracy and Peace Building. Obama’s rumored man definitely seems ambitious! Would you expect anything less from the daughter of the former President of the United States? Those are big shoes to fill. According to Harvard University’s site, tuition begins at $43,280 per school year. Add room and board, and you’re up to around $63,000. 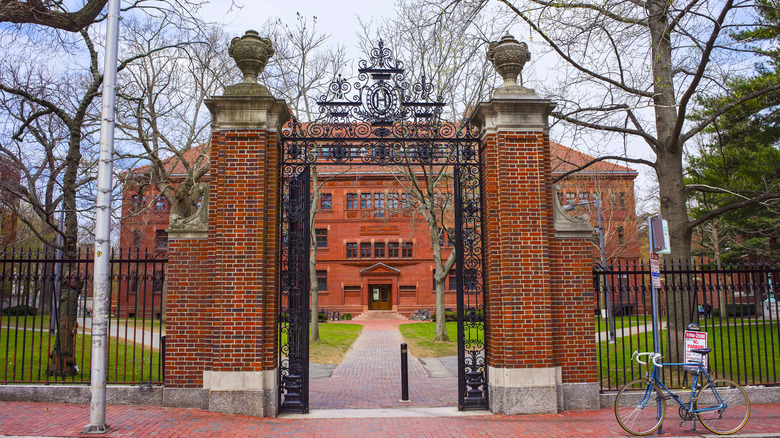 While the Ivy League school accepts financial aid and has made headlines for the far-reach of its financial aid initiative in recent years, Harvard definitely seems to favor the rich. Farquharson is no exception. 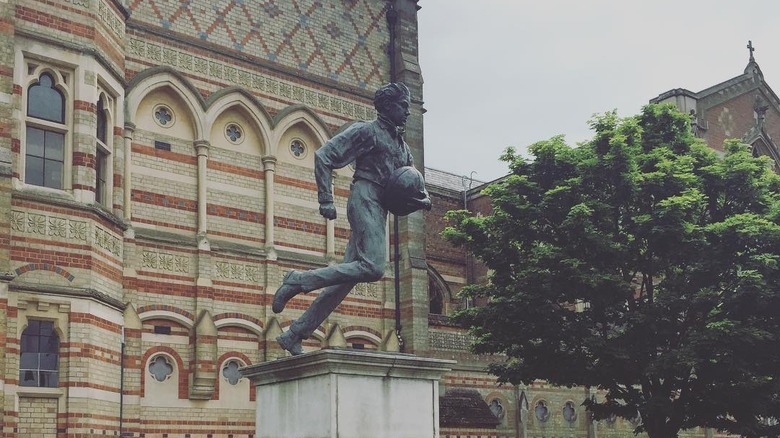 Rugby School, the prestigious boarding school that he attended in England, costs £11,584 ($14,339) per term, according to The Telegraph. Not exactly chump change, to be sure. The Telegraph also reported that the home where Farquharson spent much of his childhood is a £1.6 million ($2.27 million) house in Martlesham, Suffolk. That isn’t the family’s only abode, however, as the publication also notes a Farquharson home in London. With a son in Harvard, an executive father, and a mom who is both an accountant and a lay person for London’s Upper Tribunal, the Farquharson family seems to be doing quite well financially. Just because Farquharson is British, that doesn’t mean he knows the Queen, right? Well, he just might. You may already view Farquharson as quite the privileged young man, but, believe it or not, he also has links to the British royal family. As it turns out, Obama’s main squeeze is the second cousin of Andrew Farquharson, Express reported. Andrew had a lengthy career of working alongside the Queen, first as her courtier and then as her Assistant Master of the Household at Buckingham Palace. 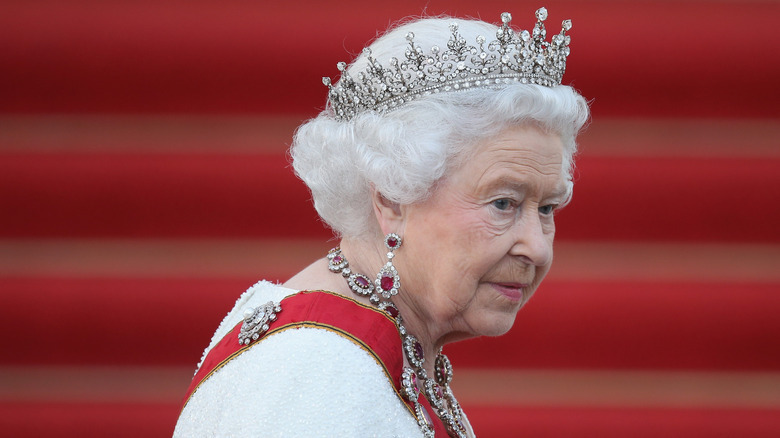 Queen Elizabeth II even made him a member of her own order of chivalry — pretty cool, wouldn’t you say? In 2006, Andrew took on a similar role for Prince Charles before being let go in 2009 due to, as Clarence House claimed, a “review of costs.” Hmm. While his relative was working for the royal family, you have to wonder if Rory Farquharson ever got to meet the Queen. Farquharson didn’t mince words when it came time to write a letter to his 16-year-old self for his school’s publication, Meteor. In it, he wrote, “You’re a lanky, over-confident public school boy, desperately trying to prove to your friends how much of a ‘lad’ you are and have failed miserably.” Ouch. He went on to tell himself to get a haircut because his “floppy mop” wasn’t appealing to the ladies. Well, it seems he hasn’t yet taken that advice, but, luckily for him, Obama must not mind much. Farquharson’s letter wasn’t all mean. He advised himself to be open to change, stay true to himself, take responsibility for his own future, and care for his family and friends. “You’ll have various relationships and constantly meet new people,” he wrote, “You’ll even spend time living abroad.” Apparently Farquharson is stellar at predicting the future. 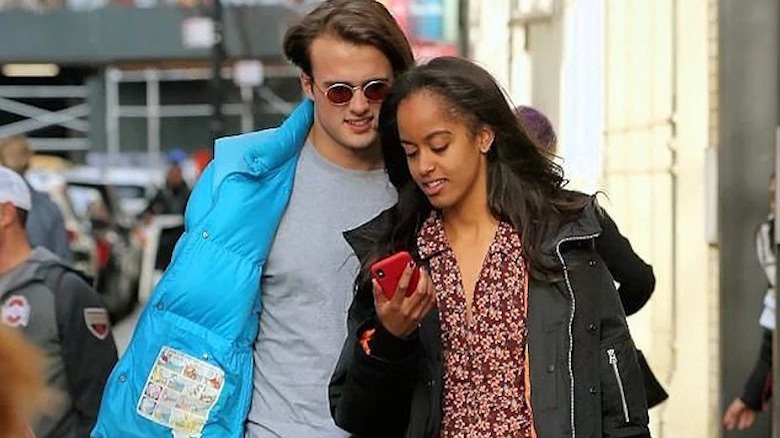 Still, we bet he didn’t think he’d end up dating one of President Obama’s daughters! During his outing with Obama in SoHo, Farquharson was photographed in a puffy blue jacket, a basic gray tee, and dark pants, but all eyes were on his sunglasses — his tiny sunglasses. A popular trend in the ’90s is being revitalized by the likes of Selena Gomez, the Kardashian and Jenner clan, Rihanna, and now, of course, Farquharson. Love ’em or hate ’em, if the college kids are jumping on a trend, you’re probably going to be seeing more if it. Will Obama follow suit with a pair of tiny sunglasses all her own? Time will tell but, even if she doesn’t, she’s fashionable enough without them. Although Farquharson was raised in the United Kingdom, he certainly still has his opinions on American politics. As Obama’s supposed suitor, you’d have to assume his political leanings are Liberal rather than Conservative, right? Well, no matter his actual political affiliations, he’s definitely not a fan of Donald Trump if his one-time social media activity is any indication. According to The Telegraph, Farquharson has shared his criticism of President Trump via social media in the past. At one time, Farquharson even retweeted a post that speculated Trump’s popular appeal would decrease throughout the year after being elected — a statement echoed by many. While we can only speculate whether or not Obama has introduced her reported beau to her family, if Farquharson was a Trump supporter, dinners with the Obamas would probably get a little awkward. That is, if the smoking — and Michelle Obama’s probable feelings about it —weren’t already awkward enough, ahem. It seems there is always a cost associated with dating a public figure. Page Six reported that since he began dating Obama, Farquharson deleted his social media. While you may be disappointed to learn that all of his social media accounts — aside from very few pictures on Facebook — have been wiped out, it is understandable given the scrutiny that comes with high-profile relationships. Just ask Meghan Markle. 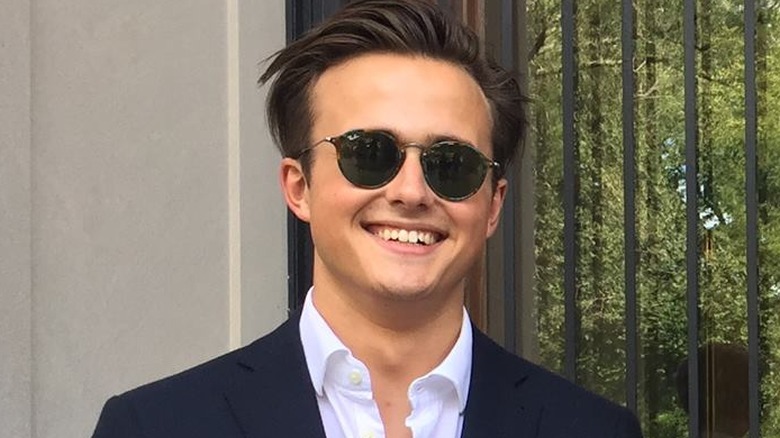 Although Farquharson is not set to become a duke nor prince, dating the former president’s daughter is probably the closest you can get to the United States’ version of royalty.